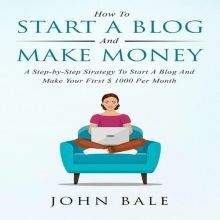 This audiobook provides a step-by-step introduction to the blogging world and how to make your first $1000 per month. I have spent many years trying to make money in various ways until I realized that blogging is the most enjoyable and comfortable way to do it, which gave me the results I want. So what I have learned and experienced, I want to share with you. 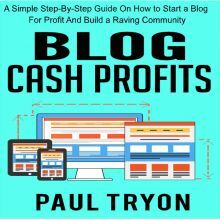 Learn and find out steps to understand a blogging world that will finally allow you to earn the money you truly want. The fundamentals are almost the same every year, which will allow you to make money anytime. Stop the analysis and paralysis and just focus on fundamentals, which will yield the results you truly desire. Stop figuring everything out by yourself! 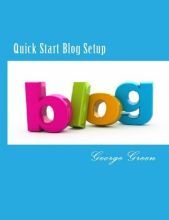 Blogging is almost the same as any other Online business that you will or have encountered. If you commit to it and focus for at least a couple of months, it will give you the results you want. You will earn your first $1000 or maybe, you will exceed this amount of much higher income. Like any other business, it requires focus and commitment on your part, but the commitment you gather will lead you to success in the blogging world! 1. Language: English. Narrator: Courtney Lucien. Audio sample: http://samples.audible.de/bk/acx0/135585/bk_acx0_135585_sample.mp3. Digital audiobook in aax. 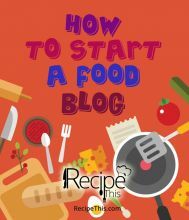 You may be wondering ´´What is a blog and why would I want one?´´ You aren´t alone. Blogging is said to be one of the hottest Internet trends in the past few years. However, leave it to uber-Internet marketing guru Tom Antion to figure out a commercial use for what is essentially an online journal. 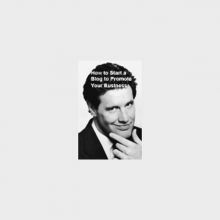 He´ll walk us through the ins and outs of this easy-to-use tool. If you´ve avoided starting an e-zine because of concern for the time commitment, come learn about blogging.You´ll learn: What exactly a blog is Why blogs are better than e-zines How to start a blog with little, if any, money How to update them easily How to completely bypass the e-mail system, and spam filters, to get your message through How to add audio to your blog How to generate lots of money through your blog 1. Language: English. Narrator: Tom Antion. Audio sample: http://samples.audible.de/sp/spnn/000010/sp_spnn_000010_sample.mp3. Digital audiobook in aax. 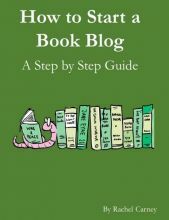 Do you write a blog or are thinking of blogging but not quite sure what to write? 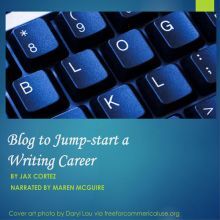 Blogging to Jump-Start Your Writing Career will give you useful tips on the three different ways to use a blog, along with an exercise to help you hone in on your blog´s central theme. 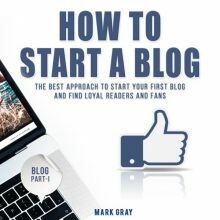 Whether you´re a writer looking for readership or a business owner wanting to attract potential customers, this basic book on blogging can help you learn how to do just that. 1. Language: English. Narrator: Maren McGuire. Audio sample: http://samples.audible.de/bk/acx0/034818/bk_acx0_034818_sample.mp3. Digital audiobook in aax.